YOU can't flip through its 32,600 pages, discovering a delightful image serendipitously. You can't hold it, feeling the weight of its scholarship in the heft of its volumes. You can't drift off to sleep in a club chair, an open volume on your lap awaiting your awakening. But if ever a digital book made sense, The Grove Dictionary of Art Online might be it -- if only because the 34-volume print version, 26.3 million words written by 6,802 experts and published in 1996, weighs 168 pounds and takes up five feet of shelf space. Grove is now testing the thesis that the digital book's time has come, at least as a reference text. It is a sign of how far the Internet has come. When Grove's print version made its debut, filling a niche as the most comprehensive art reference, the talk about a digital Grove Dictionary was all about CD-ROM's. But that format was ruled out at the time because a single disk would lack the necessary capacity. The Internet has won out, and not just because it offers a much greater capacity and has grown so popular. It can also be updated at will, which makes good sense in a dynamic area like the art world. Since last November, the company has offered subscriptions to an on-line dictionary (www.groveart.com) that contains the text of the print version, with additions and updates, all illustrated by links to artworks in the on-line collections of museums and galleries around the world. Eileen Sutter, a marketing director in New York for Grove's Dictionaries, a branch of Macmillan Publishers, based in London, said that the company had sold subscriptions to the on-line dictionary that so far number "in the low hundreds." By comparison, more than 5,000 copies of the print version have been sold. Judith E. Holliday, the fine arts librarian at Cornell University, which has already given the print version that five feet of shelf space, made perhaps the most convincing argument for buying the on-line product. "We're definitely going to get it," she said. "The minute the printed version was printed, it was obsolete. Scholarship happens all the time; people are finding out new things all the time. And with an on-line version, things can be updated all the time." Grove's mammoth Dictionary of Art, really an encyclopedia that took 14 years to prepare, obviously has plenty of room for revisions. The printed version contains 41,000 articles on artists, patrons, dealers, scholars, genres, media, movements, archeological sites, historic cities, art theory and on and on. It has 15,000 images along with 750 maps, diagrams and drawings especially commissioned to illustrate its articles. Its list price is $8,800, though special offers often drop the price to as low as $6,000. Grove has already supplemented some entries (on van Gogh and Cezanne, for example) and added articles on "Brit Pack" artists like Damien Hirst, Rachel Whiteread and Chris Offili that did not make the print version. It plans to put pieces on 30 California artists on line by the end of the year, and it says it will periodically update articles to take into account biographical developments, new academic research and events that are important in art history. In the image-to-image battle, the on-line version wins by far; it initially had links to only about 8,000 images, but Grove has since added links to an additional 4,000. And it recently signed a partnership contract with the Bridgeman Art Library, which acts as the licensing agent for more than 750 museums and other collections worldwide, to give Grove's on-line subscribers access to 30,000 additional images on May 20, followed by 70,000 more by year's end. The Grove Dictionary of Art Online thus adds value beyond the reference articles by finding and maintaining Web links to images of art in on-line museums and on other sites. While the on-line images are available to anyone who knows where the links are, Grove puts them all in context and in one place. As for price, Grove Online costs $1,500 for a one-year subscription that allows five concurrent users ($2,000 for 10 simultaneous users). But institutions that already own the print version pay $1,000 a year for 5 concurrent users, $1,500 for 10 concurrent users. An individual can have access for $500 a year. For those who do not already own the books, Grove is offering a combination deal: the books and a one-year subscription to the Internet version for $5,000 for 5 concurrent users or $5,500 for 10. "We are trying to sell the books -- we've reprinted them and they're there," Ms. Sutter said, explaining the pricing. "We want people to buy both." For Jack Brown, the director of libraries at the Art Institute of Chicago, buying the on-line version of the dictionary was an easy call. Although the Art Institute owns three Grove hard copies, Mr. Brown was Grove Online's first subscriber. "I bought it sight unseen," he said. "It's clearly the essential and definitive tool for art history at this point, and I wanted to distribute access to it." Instead of leaving their offices to look up something in a library, "curators go to their desks -- we have 1,000 terminals in the building," Mr. Brown said. "They can also remotely access it from any Internet address associated with the institute," he added. "So they can do it from home if they're working there." Art Institute members and people with a demonstrable need to do art research may also tap into the museum's Grove Online, just as they may use its libraries. Mr. Brown said he did not yet have information about how many people, inside or outside the institute, are using the on-line dictionary or about the frequency of use, but he reports no access problems under the Art Institute's five-user license. "No one has ever said he was unable to get at it," Mr. Brown said. Grove Online, he said, is also very useful to the institute's reference librarians, who answer questions from the public. "People E-mail us questions, and we cut and paste answers out of that text," he said. Samuel Sachs 2d, the technophilic director of the Frick Collection, is equally enthusiastic. "It's handy for a lot of things," said Mr. Sachs, who keeps a computer at his side in his richly paneled office on Fifth Avenue. 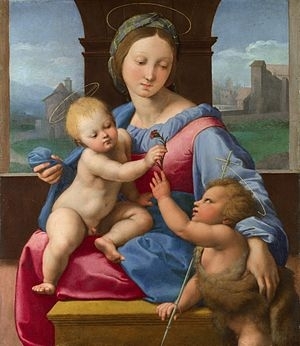 "If you suddenly can't remember Masaccio's middle name, you don't have to get up and go to the Frick reference library," he said, savoring the time he saves by not riding an elevator down two flights, crossing the Frick basement into the library next door, then pulling down a book and finding the correct page. Instead, he can log on to Grove, click on Articles, choose M, scroll down the page and click on Masaccio to find that the artist, born in 1401 and regarded as the founder of Italian Renaissance painting, was named Tommaso di Ser Giovanni di Mone Cassai. All curators at the Frick have the same access to Grove Online, and many members of the public are using it, Mr. Sachs said. To hear subscribers tell it, the on-line search function is a major plus. The print version has thousands of cross-references and a 1,075-page index with 720,000 entries. On line, users can search for a topic and get a complete list of the times it is mentioned throughout the database. So search possibilities are endless, and the cross-references are available with a click -- saving the researcher the trouble of putting down one volume and picking up another. At least that's the plan. Right now, "searching is still a little clunky," Ms. Holliday said. And though she could not think of a specific example of a problem, she said, "They still need to refine the search mechanisms." As Mr. Sachs pointed out, though, research is still quicker on line, even if the search engine has quirks. "You can search multiple things and very quickly," he said, "whereas taking down Volume 1 and Volume 19 and paging through is very tedious. And the searches turn up things unexpectedly -- that's fun, as much as a hazard." Grove is aware of the limitations of its search function, and is overhauling the appearance and functions of its search page. With the upgrade, which is expected to be available on May 20, people will be able to do simple and advanced searches with more options. They will be able, for example, to search only the bibliographies that accompany the articles or only for images. This is, after all, art, so those images were a major question mark for potential subscribers. The published volumes have very high-quality reproductions, reviewers said. How would they look on the screen? "If the images were poor, I wouldn't get it," Ms. Holliday said. They are not, for the most part. They vary in quality because users follow links to images of artwork on sites of the museums that own the works. Some museum directors are unhappy about that. Grove paid museums for permission to reproduce their works in the print version, and museums make tidy sums from approving such requests from publishers. But though Grove initially talked to some museums about reproductions, in the end it did not seek permission for making images available via Grove Online. Grove argues that it need not pay museums for access to images because it merely links its users to museum sites, where the images are already free. Copyright lawyers seem to think that Grove is right under current law, but perhaps wrong under evolving laws that cover the Internet. The Association of Art Museum Directors, an organization of 170 large North American museums, has discussed making some protest to Grove, though it has not decided exactly how hawkish it will be. Mr. Sachs, who heads the association's information and communications technology committee, said the group had sent a letter to Macmillan asking to talk about the issue. When the Grove Dictionary of Art was published, some book-loving critics suggested that a different obstacle would render an on-line version unusable: Who, they asked, would want to wade through long articles on line? The entry on China, for example, weighs in at 469 pages, while the biography of Michelangelo runs on for 20 pages. No problem, as things are turning out. For one thing, many institutions already have the books and are simply adding the on-line version. The two are often used in conjunction, especially by people over 30. So even though two years ago people questioned the viability of an on-line Grove dictionary, today some people think it is the print version whose days may be numbered. "Students want things that are on line," Ms. Holliday said, "and if they're not on line, things don't exist for them." On-line addicts, or indeed anyone familiar with the Web, seem to have one word for long articles: print. "I can't tell you how many people think nothing of printing out pages and pages of material," added Ms. Holliday, who says she believes that the print version is doomed. While Ms. Sutter said that The Grove Dictionary of Art was in its second printing (the first was 6,000 copies), she also said that on-line subscriptions were "starting to take off," now that people had tested it. "No one has slammed the door on us," she said. Rather, the institutions that have taken up Grove Online's 30-day trial offer and not ordered have generally attributed their decisions against signing up to budget problems or bureaucratic delays, she said. Owners of the dictionary in book form only, after all, will not get the new material and updates that on-line subscribers get. Indeed, Ms. Sutter said that "it's rare for someone to buy the print version only." Still, Grove is hedging on the technology front. Now that new compression technology makes it possible to squeeze the dictionary onto one CD-ROM, Ms. Sutter said, the company plans to offer a disk version aimed primarily at individuals. That will come later this year, she said, but Grove has not yet decided how much it will cost. The early on-line converts are not looking back. Some are already talking about the books in the past tense. Take Mr. Sachs. He has had Grove Online for only a few months; still, he stopped in midconversation as he related his experience with it and said, "I still have wonderful nostalgia for the book, though."